I suggest you return the V5 to DVLA with a covering letter and supply a photo of the whole frame number. Expect hassle, if you don't get any, result !! The Spanish font is way different from the Italian and is an easy spot. The frame will also have an extra gusset holding the engine mount. 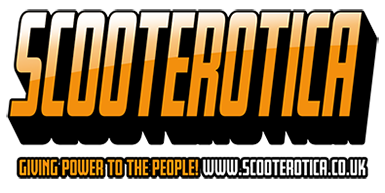 Evening all, who are you fellers using to insure your non-historic scooters these days? I have a 2002 PX 200E to re-insure soon. Topic: MOT ofter SORN ?? Re: MOT ofter SORN ?? If your vehicle is 'Historic' That means 40 years old (or more) It is exempt from the MOT system. It doesn't matter where it has come from. When applying for tax, you may be asked to make a MOT exemption declaration. In Sticky's book you will find "MB's simplified wiring loom drawing for a 12v conversion"
If you don't have Sticky's book? You should get it. Don't get hung up on fully synth oil. You really don't need it for a standard 150.